Professor Paul Litt, professor in the School of Indigenous and Canadian Studies and the Department of History, has been featured in several news articles due to interest in his new book, Trudeaumania, published by UBC Press. Click on the links below for the full stories. 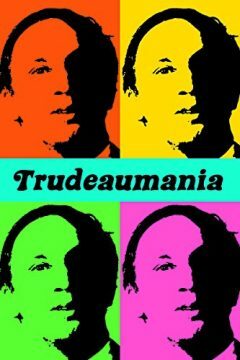 The powerful medium loved him, giving him an edge over his 1968 rivals and turning him into a celebrity, writes Paul Litt in this excerpt from Trudeaumania. When Trudeau the Younger said ‘Canada is back,’ it was his father’s Canada that he was invoking. Canada’s formative 1960s are already commemorated in our current choice of a prime minister. It took just a few short months for a relatively unknown politician to become Canada’s new Prime Minister. The euphoria over the election of Justin Trudeau and early days of a young, new government, hearken back to 1968. Upcoming Interview with the Hill Times will be published on Monday, October 24th, 2016.